I donot know much on this one, except name, type and country of origin. Stumbled upon her accidently. Have set aside an empty shoebox for anyone who can provide more details/info. Obviously with wheel pants (and maybe the spring steel gear) of an old Cessna 172. But the aircraft is a mystery! Maybe Kevin has something on him ? Nope, not on my radar. First time I'm hearing of this designer. The shiny girl is from the Americas (not USA). I have seen the designers name on a much earlier single-seater which also featured "reverse" struts on the low wing. The "El Malvinero" LV-X523 from Argentina. The country is right, the registration also and I believe you on the name. All I got is that the designer (plus builder?) could be a Mr. Yakstas, member of the Argentina EAA. 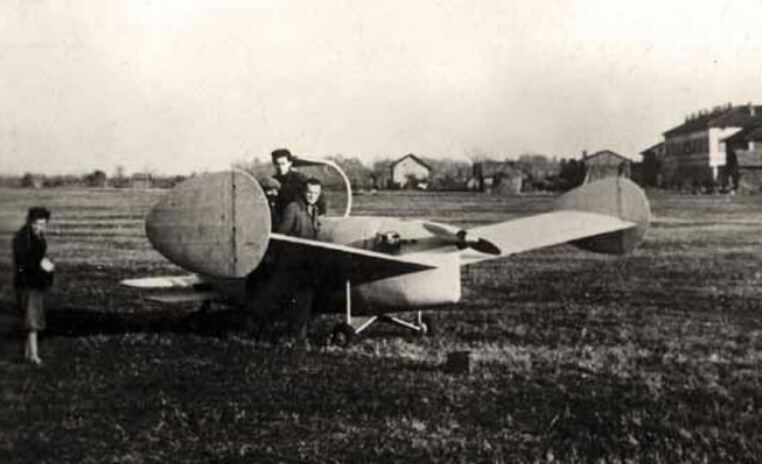 An earlier aircraft bearing his name was LV-X95 (later also seen as LV-X095), the YBS-721. That aircraft may still be around. Columbo, How did you find her? I would like to fill my shoebox. When you wrote that the plane is from the Americas but not the US, I assumed that this plane might come from Argentina, like the Berca that you posted some time ago. I then eventually stumbled upon a site about an EAA convention in Argentina where I found the plane. When you scroll through the pages, there are lots of photos of the "Malvinero". If I understand the site correctly, the Malvinero is to be equipped with two small turbines as extra power for displays (?). Next mystery will come soon. Edit: Found a photo where the aircraft seems to have installed the turbines already. Here is my next one. I think, I touched this one already. Looks like the Malmö MFI-10 Vipan. Think this one is the demonstrator. If I hadn't been struggling with my Swedish keyboard, would have beaten Uli to the punch ! It is the Vipan, here still in civil colours. Mike, as a consolation prize, what about a small cup of beer? Somewhat late, but thank you very much for the links to the Argentine homebuilt. Good morning Carlo. From our neighbors to the south, the TNCA 5-E-123. Thanks Carlo. Will send you some nuggets if I can find them. The photo is dated "26-8-44". Two designers had a hand in it, one who moved on to the automotive world. Hmmm - the date format presumably means it is not American, and in 1944 not too many people were building light aircraft in Europe ! I was surprised by the date too Mike if it is accurate. Ambrosini SS.4 - even though that would put it out by some five years? Edit: I think that I might be barking up the right sort of tree without being quite there!